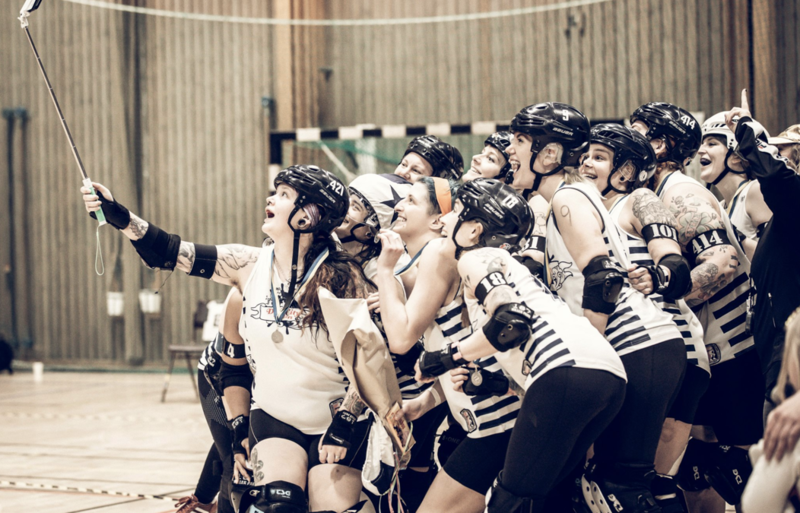 Another Swedish Championship is in the books and Dock City Rollers has once again brought home the silver to Gothenburg. Uppsala Jackdaws win against Gothenburg Roller Derby put them against Dock City Rollers for their second game of the day. Dock City Rollers took the lead first jam with an increasing score difference throughout the game. Wrapping up Saturday’s games with a final score of 260-48 in favour of Dock City Rollers. Landing the team, a place in the final. Taking the morning to prep for the Championship final, Dock City Roller and Crime City Rollers took the floor 14.30 for the last game of the weekend. Playing hard from the first whistle, Dock City Rollers put up a fight against the favourites from Malmö but didn’t reach the gold. The score ended 272-93 in favour of Crime City Rollers who brought home the gold and the Championship trophy. After celebrating the silver and an amazing weekend with everyone attending we look forward. 13th April we are hosting a double header where the A and B teams of Dock City Rollers and Central City Roller Girls will go head to head. Don’t miss out! And join us for the double header after party.